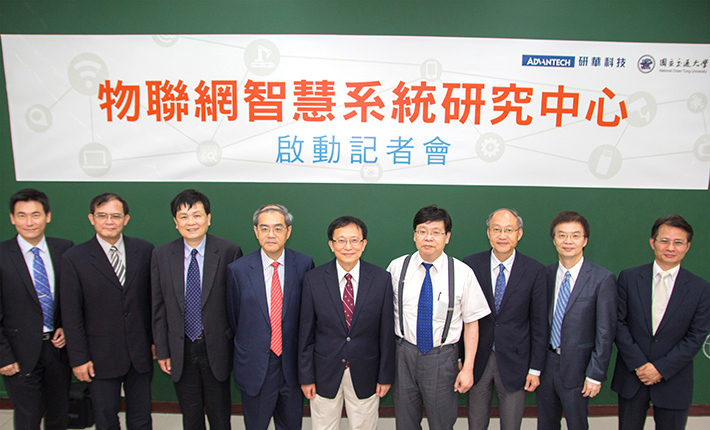 To accelerate development of the Internet of Things (IoT) and help catalyze IoT innovation in Taiwan, Advantech has sponsored and jointly set up “IoT & Intelligent Systems Research Center” (hereafter called the Center) at National Chiao Tung University (NCTU). This NCTU top-level research center focused on IoT development has 3 core labs: IoT Embedded PaaS Lab, Intelligent Video Analytics Lab, and Industry 4.0 Lab. The Center aims to foster the cooperation of industry-government-university with its ecosystem of partners to increase innovation which enables the next generation IoT in Taiwan, since Taiwan is already highly regarded globally for its sophisticated market with a high level of innovation and an early adopter of new technology as well as the Taiwan government has pushed IoT as “the next big thing”. The Center is also expected to work as the base and cradle of IoT talents cultivation.